The traditional ruler of oil rich Ogulagha kingdom in Burutu Local Government Area of Delta State, HRM King, Elder, Capt., Joseph Timiyan (JP), has charged the federal government to focus on the infrastructural development of oil bearing kingdoms and communities as panacea to the lingering agitations in Niger Delta. 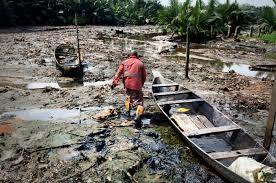 Timiyan, who spoke to newsmen in Warri, said “it is the oil producing kingdoms and communities that are underdeveloped and marginalized, therefore, further discussions or efforts by federal government should focus on the oil producing communities". He however expressed optimism that the merging of the Pan Niger Delta Peoples Congress (PNDPC) into Pan Niger Delta Forum (PANDEF) is for best interests of the people of Niger Delta and the region as all stakeholders in the region have mandated PANDEF which very determined to go into fruitful negotiations with the federal government on how to develop the area. According to him, “I was a founding member of PANDEF and we had our agenda but at a point there was some communication gap and that created the division. I left PANDEF along with some aggrieved members to form PNDPC and now that our region was being called upon to come and negotiate with the government, we need to be united to present a common front so that the federal government will not continue to give us excuses for not acting”. “As a traditional ruler and the custodian of my people culture and tradition, I believe in peace and would embrace anything that would bring about sustainable development to my domain and uplift the standards of living of my people. I don’t need for people outside or my subjects to cone and start reconciling me and others when I already know the truth. I would like to praise those who made this merger possible this time around when the region needs to be united and present a formidable team to go into negotiation with the federal government on the development of the region and well-being of the Niger Delta people. With this unity, the federal government will now know we meant business and committed to the development of our region. The excuses of not knowing which of the group to discuss with is no longer there. The government should as a matter of urgency open negotiation with PANDEF on the way forward”.